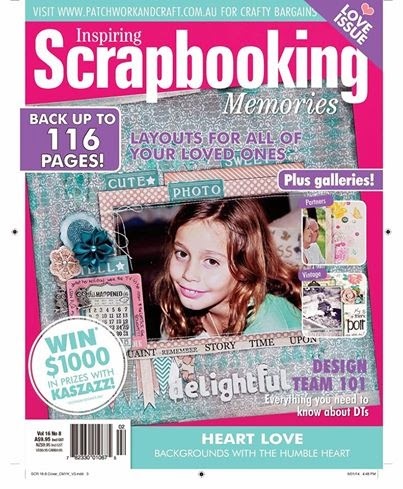 This is a recently published layout of mine from the February Issue of Scrapbooking Memories. You will find this layout in the Vintage Gallery. I absolutely adore this photo of my youngest taken a few years back whilst we were on a camping holiday at Canarvon Gorge. This walk that we were on took us to a most beautiful swimming hole. I do remember the kids having a bit of a whinge about the distance, but once we arrived there was nothing but cheers of happiness. This was one of our most memorable holidays. The kids utterly enjoyed the swimming and sitting around campfires getting warm and toasting marshmallows. Anyway enough about the holiday and a little about this layout. 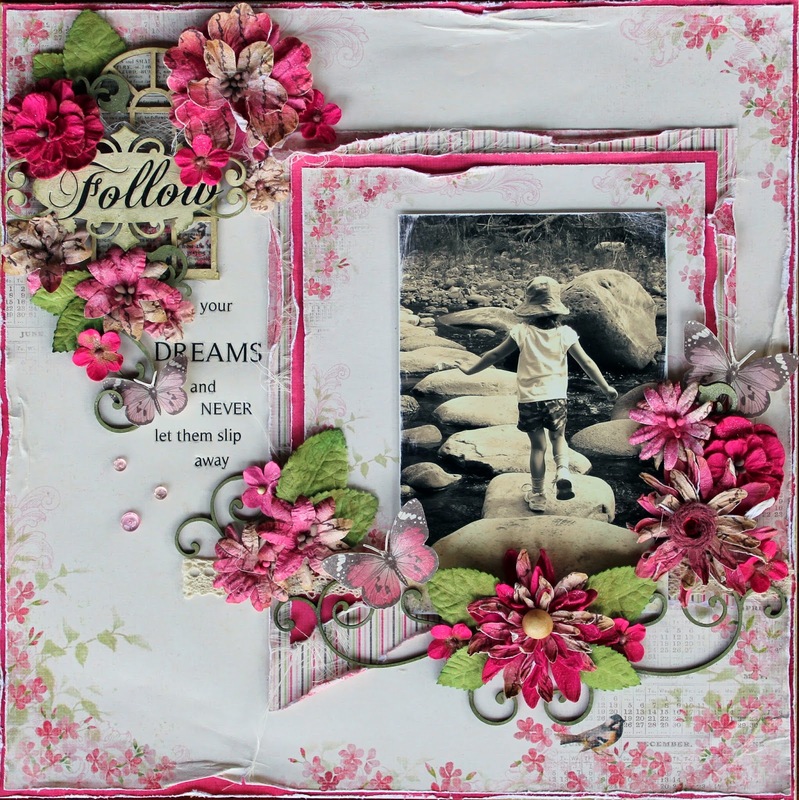 I have used Pion Design papers here from the Vintage Garden Collection, layered combinations of Peony Phlox, Pink Ornament, Phlox, and Borders with a little muslin inserted randomly. Chipboard flourishes and vintage nameplates from Memory Maze were all sprayed with Olive Vine Glimmermist and then swiped over with a little Iridescent Medium to give that shimmery touch. The Green Tara leaves were also glimmermisted in Olive Vine. Hope you have enjoyed your visit here.